1/ Browse websites without leaving a trace of your identity. Hiding your real IP address via encryption, allows you to be anonymous when browsing online. 2/ Access to streaming, wherever you are. Missing a favorite show on vacation? Hide your IP using a VPN and connect to the desired country server to enjoy streaming as if you never left home. 3/ Stay safe from snoopers looking to access your information. Hiding your real IP address gives you a great layer of protection online, because you disguise your real location. 4/ Protect yourself when using a Wi-Fi hotspot. Hotspots are unsecured and open to everyone. Using a VPN service allows you to hide your IP from unprotected networks, where hackers could be lurking. 5/ Access websites that are not available to IP address’s geographic location. Hiding your IP Address and using one generated by a VPN service would allow you to access content not available in your location, such as media services or online games. 6/ You can by-pass school or workplace restrictions. If you switch to an IP address provided by a VPN service you can by-pass school/business network restrictions to access the information you need. 7/ You can by-pass surveillance and national internet censorship. Hiding your IP address allows you to hide your internet activity from companies and organizations who might wish to track your activity online. 8/ Hide your activity from your Internet Service Provider. Often your internet service provider is obligated to track and hold on to data you generate online. You might want to keep that information to yourself by hiding your IP address. 9/ You get to keep your private searches private. Hide your IP and hide your activity from search engines who track and store data on your activity. Don’t forget to clear your cookies after every browsing session- even while using a VPN service. 10/ Access to internet freedom. The internet was envisioned as a platform for all to use and modify as they wish. Creativity, innovation, education, communication and exchange of ideas are inseparable from the freedom the internet offers. Hiding your IP would guarantee the privacy and right to expression online. There are a number of country specific regulations that are constantly changing. If the websites you wish to access are blocked, information you want to keep private is at risk to being exposed, or if you need a secure gateway to access information – Hiding your IP is the key to your internet freedom. 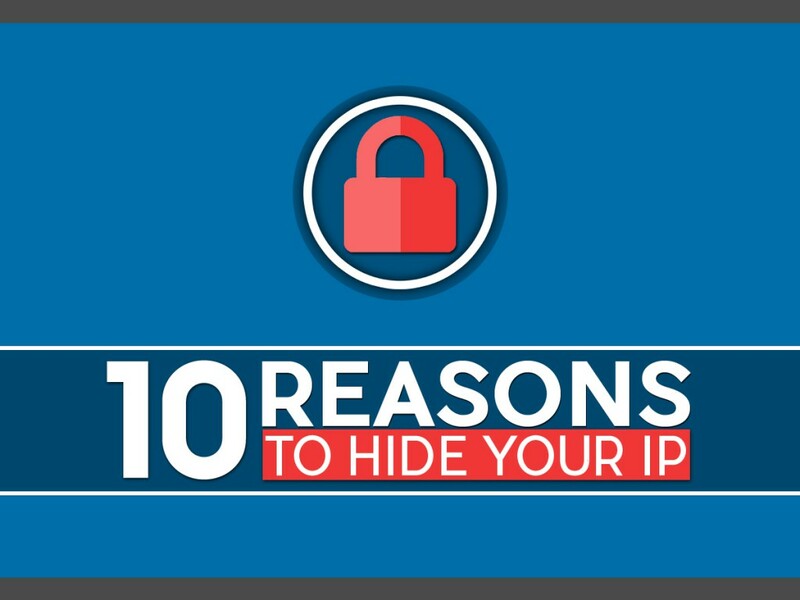 How can you Hide your IP online? Get a VPN. Protect your network from third parties, stay anonymous, and access any content you want on the Internet. NordVPN creates a secure connection between your computer and the Internet, guarding your data and devices, your privacy, and your freedom online.